UiB Mesocosm Centre announces open time slots for external users to test own scientific ideas. Mesocosm experiments can take place at UiB/Espegrend in week 21-22-23-24 (May/June 2019) or week 31-32-33 (Aug 2019), see TA-Calendar 2019. AQUACOSM TA in 2019 can fund ca. 12 persons for 3 weeks (or 9 persons in 4 weeks). The field station has 20 rooms for accommodation. UiB Mesocosm Centre announces open time slots for external users to test own scientific ideas. Mesocosm experiments can take place at UiB/Espegrend in week 21-22-23-24 (May/June 2018) or week 31-32-33 (July/Aug 2017), see TA-Calendar 2018. AQUACOSM TA in 2018 can fund ca. 12 persons for 3 weeks (or 9 persons in 4 weeks). The field station has 20 rooms for accommodation. The UIB Mesocosm Centre at Espegrend is part of the Department of Biology. It offers a wide range of opportunities for marine mesocosm experiments. 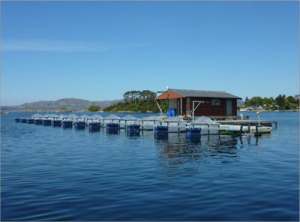 The facility includes a floating platform with enclosures in the Raunefjord plus land-based outdoor mesocosms, both located at UiB’s Marine Biological Station (Fig. 1 & 2). A unique feature of the enclosures in the fjord is a floating shad that provides high-quality wetlab space and electricity for immediate sample processing and lab-based measurements of samples taken in the enclosures. The mesocosm can also be set-up for temperature (land tanks only) and CO2 treatments by users. Research vessels facilitate easy access from land to the platform. Infrastructure on land includes multiple laboratories (chemistry lab, isotope minilab for 14C and 3H, live lab, formalin lab) where users can set up their own equipment and instrumentation. 3 walk-in cold rooms with running sea-water (2) and light control (1), offices and an auditorium that holds up to ca. 60 persons. Modality of access under AQUACOSM: At least 588 person days will be allocated to external users, which will be integrated into the existing schedule of the Mesocosm Centre. A minimum of 5 persons for 10 days are needed to successfully conduct an independent experiment in the UiB mesocosms. However, it is anticipated that typically AQUACOSM will support of groups of 14 persons staying for 20-22 days will be granted access in 2018 and 2019. To support increased international cooperation and foster adaptation of new approaches and techniques, individual users and smaller groups are also invited to apply for AQUACOSM TA when larger projects are already planned at the facility. Furthermore, to enhance scientific progress and output, efforts will be made to coordinate the AQUACOSM TA activities with other ongoing and planned projects. Services offered by the infrastructure: In addition to providing access to mesocosms, the UIB Mesocosm Centre offers office and lab space to external users supported by AQUACOSM. Through collaboration with local scientists users can also gain access to a wide range of advanced UiB facilities, including electron microscopes, advanced light microscope and image analysis systems, flow-cytometers, and molecular laboratories. 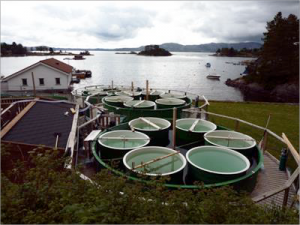 A particularly important feature is that researchers have an opportunity to verify experimental results in settings of increasing complexity, ranging from laboratory-based studies to well-controlled outdoor mesocosms on land and enclosures in the fjord. In addition, experimental results can be compared with observational data from a wide range of natural pelagic environments, given that the Norwegian west coast is the only place in Europe with close access to both coastal and oceanic environments. The UIB Mesocosm Centre is well equipped to accommodate large-scale research activities. Operation started in 1978 and has since been continued with few interruptions in single years. This history provides the team at UIB with the longest experience worldwide in mesocosm studies of pelagic ecosystems. Numerous national and international research groups were hosted over the last 3 decades to conduct mesocosm experiments lasting from several days to months. Addressing a wide range of fundamental and applied marine ecological questions, these experiments have resulted in more than 100 peer-reviewed articles to date. Support offered under AQUACOSM: All users will have access to the mesocosms, laboratories and office space. Scientific cooperation with UiB scientists facilitates access to additional facilities, instruments and expertise of local staff. To increase scientific advancements and output of the TA activity, beyond simple access to the mesocosms, all users will receive support with the planning of activities. This process needs to be initiated several months before arrival and will be accompanied by hands-on training and assistance throughout the stay by the local AQUACOSM team. In addition the users will benefit from support offered by permanently employed staff at the Mesocosm Centre. Dormitory with 20 sleeping rooms, a few steps away from the laboratory building, modern large scale kitchen facilities where guests can provide their meals and a combined dining and living room. Laundry facility is available on site.